This September, the largest rally since the rebirth of the Mexican 500 will take place. This competition will feature three days of mixed surface rally driving in the Happiest Race on Earth as a miniature version of the larger Mexican 1000 held every spring. 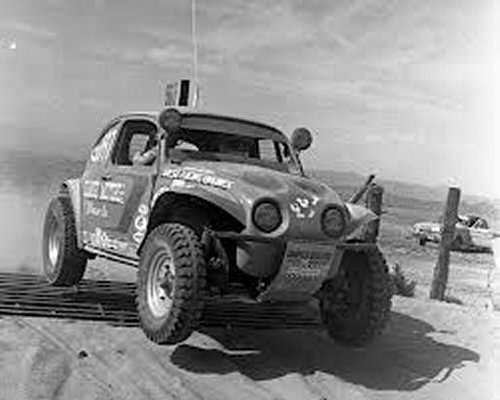 The National Off-Road Racing Association (NORRA) will be holding its second vintage-themed event in conjunction with the Mexican CODE sanctioning body for vehicle racing. The Mexico 500 event, called La Carrera del Norte (the Race of the North), attracts a variety of local and international racers who often race in vehicles ranging in age from 10 to 50 years old - sometimes older. The race is for sport, of course, but has a lighter air and less stringent set of rules and requirements than do more big title events like the Baja 500 and Mexican 1000. Vehicles racing are held to strict safety standards, of course. The NORRA Mexican 500 will be held alongside the small-vehicle Mexicana Logistics 300, which is populated by bikes, trucks and buggies. Some routes between the two races will be shared, but the 500 is a two-day race whereas the 300 is not. The CODE Mexicana Logistics 300 ends in Mexicali on the evening of the first day, which will mark then end of the first part of the two-day NORRA race. The second day will have the Mexican 500 racers continuing on to the Sea of Cortez to complete their race. Unlike most of the rally racing in Mexico's bigger races, the Mexican 500 is for vintage vehicles and therefore much less demanding in terms of technical skill and terrain maneuvering. Much of the race takes place on roads and tracks that are more forgiving and suitable to the fun nature of the event. No pre-running is allowed and contestants are not given GPS coordinates or Route Books until the day of the event, though mileage figures and pit locations are given beforehand for pre-planning purposes. The majority of the racers in the Mexican 500 will be amateurs, enthusiasts, and up-and-coming rally drivers. Most of the machines are garage projects by part-time enthusiasts rather than professional race teams. The event is positioning itself as the one to watch for not only a light-hearted and fun offroad spectacle, but as a beginner's showcase for talent that may become names to watch for in future rally events. Both the 2013 NORRA Mexican 500 Rally and the CODE Mexicana Logistics 300 are accepting applications now. Technical and Registration activities begin on the afternoon of Friday, September 27 in Ensenada, Baja, Mexico. Saturday will see both races commence with Sunday being the second day of the Mexican 500.